Much needs to be said of Al Bielek. I first heard him on the radio with Art Bell about 1995, which I think was a repeat broadcast from 1994. During that 3 hour interview, I was amazed to hear the details of the Philadelphia Experiment. I had only read an article about the Philadelphia Experiment in Newsweek magazine somewhere around 1984 I believe, but I had no idea of the incredible technology that was being employed or the eventual consequences that humanity would have to pay for the folly of that experiment; since it ripped opened a hole in the space-time continuum that allowed unwelcome (and unenlightened) aliens to literally pour into our galaxy. There already exists many articles about Al Bielek on the Internet and I will repost some of those articles here, but I hope to add new material based on a series of recordings that Al made of his life story in April 2000. I'll also cover new info from a four hour talk that Al gave at a private home in Laguna Hills, California on February 17, 2001, along with insights gained from conversations with Al over the phone. Al is also featured on a CD produced in October 2000, which covers his life as Al Bielek, Edward A. Cameron, the Philadelphia Experiment, the Montauk Project, mind control and time travel. In 1988, Al started to recover fragmented memories of his involvement in the Philadelphia Experiment after seeing a late night TV airing of the 1984 movie, The Philadelphia Experiment. Because of Al's involvement with the Philadelphia Experiment, the Montauk Project, and other secret, black budget programs, he's been subjected to brain washing (as have all personnel connected with these projects), with the goal of eliminating from his conscious mind all memories of his involvement. "Memories" can be created, changed, or wiped completely when you are subjected to mind control. Does that mean that Al's information may not be 100% accurate? Perhaps, but I feel strongly that the overwhelming bulk of information that Al has relayed over the years is accurate and has occurred as he has revealed it. Selected memories may have been distorted or 'inserted' into Al's mind ( he would have no way of knowing ) for disinformation purposes, but to dismiss it out of hand is foolish. Al had discovered that if both hemispheres of the brain are in balance or in 'sync', then mind control access/manipulation by mind control programmers is thwarted. He explains in his autobiography tapes a couple of methods for balancing the left brain and the right brain to achieve this balanced state. One of the more compelling revelation from Al's private talk in Laguna Hills and from his eight hour autobiography tapes is the reference to being teleported to the year 2137. After jumping off the Navy ship Eldridge on August 12, 1943 with his brother Duncan Cameron as the Philadelphia Experiment began to spiral out of control on board ship, Al and his brother found themselves in a hospital in the year 2137. Hospital personnel and other people with whom he spoke, told Al of great changes and cataclysmic events that occurred in the opening years of the 21st century. Update July 15, 2003. You can now obtain Al's CD and other video tape lectures directly from Al Bielek with info provided at the bottom of this page. Readers should know that a web site claiming-in bold letters-to be the The Official web site for Al Bielek is not Al Bielek's web site and that Al Bielek does not collect one dime from the sale of their CDs. I found out today from Al Bielek that the CDs being sold from that web site contain HIDDEN FILES that will allow access to your computer from agencies of covert surveillance. I'll allow Al Bielek to expound on this story and fill in the details about this web site and the surreptitious snooping files inserted into their CDs when he's ready to talk about it publicly. In the meantime, you can obtain the same CD being offered at the supposed "official web site" of Al Bielek by ordering the CD from Al Bielek himself. Al has had these HIDDEN FILES REMOVED and the copy you receive from him will ONLY contain the legitimate information that the CD is advertised to contain. If you wish to protect your computer from unauthorized access and wish to see Al Bielek receive the income for his own CD, then support Al by ordering the CD and other video tapes directly from him-see below. Any other web stie address laying claim to being Al's "official" site is the very web site we are trying to warn you about. All available recordings made by Al Bielek are listed below along with Al Bielek's current address. You can obtain all of these recordings from Al Bielek himself and be sure that Al Bielek enjoys the fruits of his labor, rather than a two timing, con artist who had ripped Al off and had attempted to steal his name for his web site in order to take ALL of the royalties which were rightly due to Al Bielek. .
July 22, 2003. A new campaign to debunk Al Bielek got kicked off on the internet somewhere in late Spring of this year. I've been sent e-mails by two relatively unknown individuals who are anxious to have me review their debunking allegations against Al. I haven't responded to them yet, but a third individual said to be associated with this current debunking effort is better known; his name is Marshall Barnes. Barnes has previously spoken supportively of the Philadelphia Experiment (and Al Bielek) on the radio, so one has to wonder what's going on there. This is not the first time a campaign has been launched to discredit the Philadelphia Experiment story. The late Jacques Vallee attempted to do just that in 1994 with an article titled: Anatomy of a Hoax: The Philadelphia Experiment 50 Years Later which appeared in the Journal of Scientific Exploration. I guess it might have held sway at least with the casual reader, had it not been thoroughly demolished and shown to be a disinfo piece in an article titled: Debunking The Philadelphia Experiment Debunkers which appeared on December 6, 2001 at www.rense.com. One has to wonder if Al's unexpected sleuthing and resultant discovery of the HIDDEN FILES embedded within the CDs mentioned above could have had anything to do with this latest discrediting effort, or if Al's more recent radio interviews discussing information about worldwide electronic mind control using microwave "cell phone" towers has anything to do with it. Regardless of the reason, Al says that one doesn't have to scratch very deep beneath the surface to find the hidden hand of Naval Intelligence at work when it comes to undermining his credibility or the reality of the entire Philadelphia Experiment saga. You can find other web sites that sell these recordings, and some of them at lower prices, but I hope you will buy them directly from Al Bielek. He has in large part, lost out on the benefits from the sales of his many lectures for the past 15 or 16 years. In most cases, a conference will simply invite a speaker like Al, but pay no fee for his appearance. They usually don't even pay for the travel expenses to get to the conference. The people who host the event will video tape and audio tape the lecture, but they retain ownership of the tape and usually do not share in the sales of that tape with the person who is seen on the tape. If the speaker gives a workshop, he will usually get half of the workshop fee. The other half goes to the sponsor of the conference. They often will give an exhibit table to the speaker, where he can sell other recordings or books, but that's about the extent of it. Al Bielek only gets social security and receives no other pension. Al has freely shared his information with anyone who would listen since he started recalling his involvement with the Philadelphia Experiment and the Montauk Project going back to the mid 1980's. The lame crew of recent debunkers mentioned above will loudly proclaim at their web sites that Al has been making a fortune selling his 'bogus' tapes for all these years, but that is an utter and contemptuous lie. Perhaps hundreds of other people have made money selling Al Bielek tapes, but Al Bielek isn't one of them. If you can afford it, send Al an extra donation with your order. 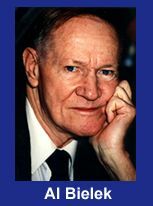 Those of us who are awake to the NWO and the Alien agenda owe a huge debt of gratitude to Al Bielek for the information that he has brought forward for all these years over the radio and in his many lectures. This amazing CD includes 24 hours of audio interviews and over 100 photos. The most recent interviews by Al Bielek, Preston Nichols, Duncan Cameron, Larry James, Stewart Swerdlow, Dr. James Corum, and info about Phil Schneider. 7. Four Video Lectures by Phil Schneider (1995) These are the only known taped video lectures by Phil Schenider. They were recorded at different locations in the USA in 1995.